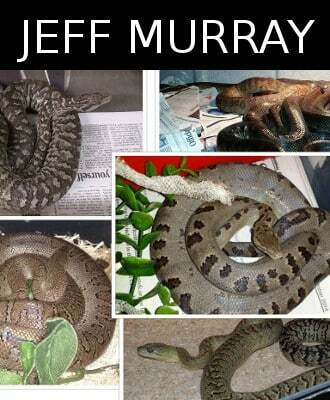 Haitian boa is a medium sized boa species from Chilabothrus genus. There are three recognized subspecies of Chilabothrus striatus; C.s.striatus (Fischer, 1856) (pictured), C.s.exagistus (Sheplan and Schwartz, 1974) and C.s.warreni (Sheplan and Schwartz, 1974). 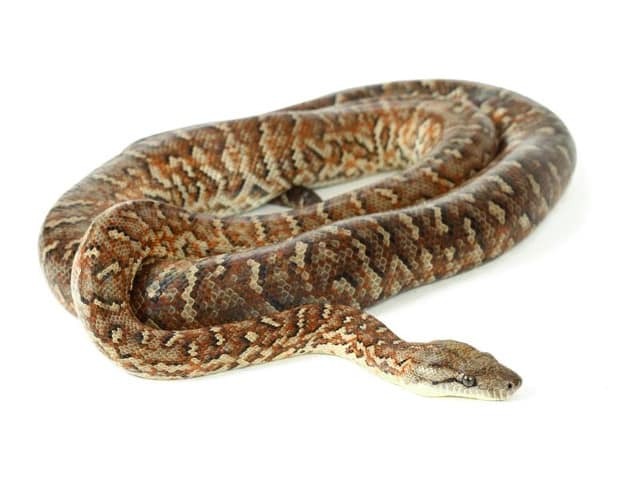 Haitian Boas are variable in color and quite attractive. The background color of gray, brown or reddish-brown is decorated with square to linear dark brown or maroon markings. The head is distinctly set-off from the body, and they are slender in build. Chilabothrus striatus can get quite large, especially females, reaching lengths of 7+ feet as adults. A full frown Haitian boa will require a spacious enclosure in the realm of 1.8 x 0.6 x 0.45 meters (LxWxH) (6 x 2 x 2 feet). A hide box at both the cool and warm ends is recommended as the boas will thermoregulate between the two. A water bowl that cannot be tipped over is recommended. The water should be replaced every other day, at a minimum, and immediately if soiled. Climbing material will be utilized if provided, though not a necessity. Heat can be provided by several means; heat tape, radiant heat panels, heat lamps, etc. Regardless of material used to provide heat, a controller must be used to accurately control and monitor proper temperatures. A hot spot in the range of 30-31 °C (86-88 °F) is encouraged, especially after feeding and while a female is gravid. The hot spot should not be provided 24 hours a days, but rather like a normal photoperiod in the wild. A backup thermometer is also recommended to prevent any mishaps should a thermostat fail or malfunction. Standard boa temperatures will suffice for keeping Chilabothrus striatus healthy and feeding. Ambient humidity (40-60 %) is often enough for Chilabothrus striatus. However, winter climates can be especially dry and adding a little water to the substrate if a rough shed occurs will often solve that problem. Humidity and air circulation go hand-in-hand and it is important that the boa not be maintained in stagnant air. Using a fan in the room where the boas are maintained will alleviate this problem. Newborn Chilabothrus striatus require ectothermic prey such as appropriately sized anoles or mourning geckos. They can be switched over to pink mice after several months using the old “scenting technique” of rubbing anoles on the PM or covering the PM with chick down. Either technique works with some babies preferring one over the other. Once switched over to rodents the youngsters grow quickly. Adults will take large rats and fowl with zest. If fed an usually large prey item, the babies may soak in their water bowl for a day or two to offset the weight of the prey item. If one wants to be able to handle the adults without musking they should be handled at an early age. Chilabothrus striatus can be very nervous as adults if not handled with some regularity. The musking is a normal response to handling but slowly fades with regular contact. They can be enclosure defensive so using a hook to gently remove them from the safety of their home may be required and is recommended. As with any collection, cleanliness goes a long way toward a healthy boa. Spot cleaning, even daily, is a necessity if you want to have a long-lived Chilabothrus striatus. Cleaning of the entire enclosure should be done quarterly to ensure an adequately sterile environment. Furnishings should be cleaned and sterilized as well. Water bowls should be cleaned, not rinsed, every couple of days or when soiled. Anything too soiled should be discarded and replaced immediately.